Kingswood Village and Trails is dedicated to ensuring the beauty and stability of the area, promoting neighborliness and pride among the residents, and forming a base for representation in matters affecting the community. Ideally situated near the finest shopping, dining and entertainment venues, this private enclave of luxury homes in Frisco was designed with convenience in mind. You’ll also appreciate the highly-acclaimed Lewisville ISD schools and easy access to major highways. Groundbreaking energy efficiency is also built seamlessly into every home in this community so you can spend less on utility bills and more on the things that matter most. With several major companies and corporations flocking to the area due to our thriving economy, ideal climate and thriving real estate market its no surprise that Kingswood Trails Homes for Sale & Real Estate is always very popular. Purchasing a new home can be an exciting alternative to a pre-owned home and offers many different advantages including low cost maintenance, current technology and energy efficiency. This pocket neighborhood features new home builder Meritage Homes. 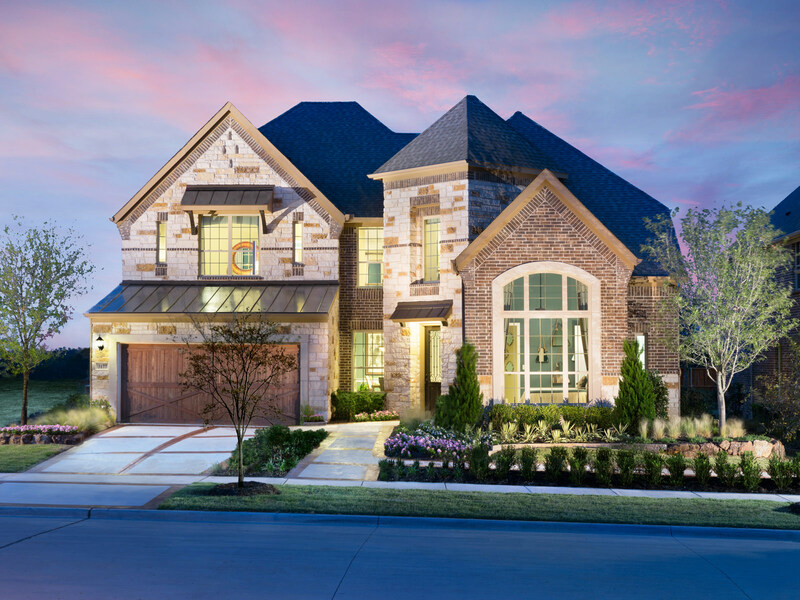 Since 2015, new homebuilders have been transforming Kingswood Trails into one of the most sought after pocket communities in Frisco. 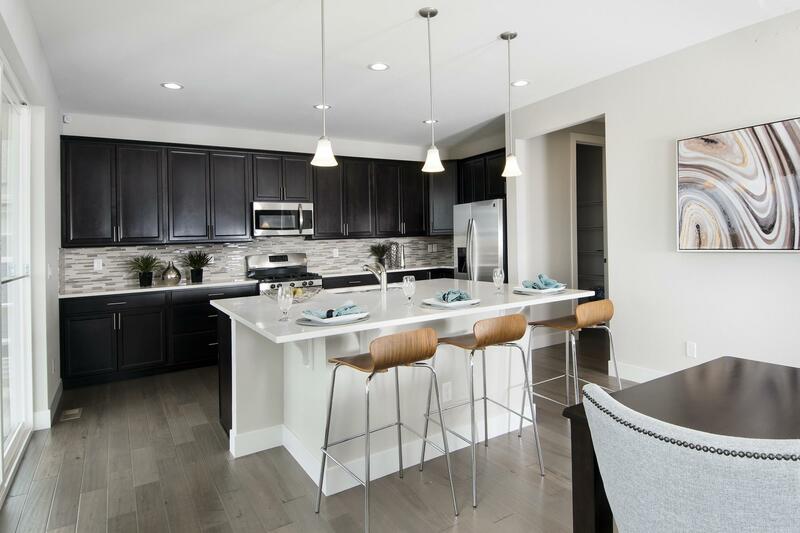 The Kingswood Trails community was designed to include modern, energy efficient homes featuring a variety of elevations, floor plans and custom styling. Years built range from 2015 to current and layouts feature 5-6 bedroom homes with up to 5 bathrooms. Featuring an average home size of around 4300 sqft and ranging from 3900 sqft all the way up to almost 4800 sqft with 2-3 car garages available. Information about Kingswood Trails Homes for Sale and Kingswood Trails Real Estate can be found calling or stopping by our office located just South of Kingswood Trails in the master-planned community of Castle Hills. Stop by or call Renee Mears Realtors for a list of new home floor plans or currently available homes in Kingswood Trails. 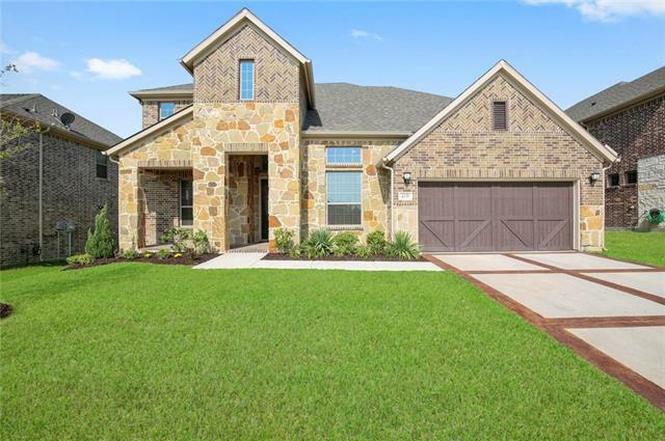 When looking to buy a home in Kingswood Trails or sell a home in Kingswood Trails it is always best to use an experienced Kingswood Trails, Frisco Realtor. If you are interested in Kingswood Trails Homes for Sale & Real Estate call Renee Mears at 972-489-0828. What’s my Kingswood Trails Home Worth? Beautiful original owner Sotherby home features master and guest suite down, media, game, 3 bedrooms and 2 full baths up. All bathrooms feature granite or marble. Kitchen complete with stainless appliances, double oven, large island and eat in kitchen open to the living room. Balcony off the game room overlooks the serene pool and spa with water feature in the west facing landscaped yard. Enjoy evenings under the pergola or the covered patio. Media and living rooms complete with surround sound wiring. Attic features ample walk out storage with insulation and shelving, radiant barrier and 24 inches of insulation. For your convenience, home features a keyed mailbox able to hold 2 weeks worth of mail and packages. Lovely light-filled 1.5 story home on an expansive .22 acre premium home site, featuring great outdoor living. Enjoy the privacy in your large backyard, expanded by a rolling gate across the driveway. Watch the activities sitting on the covered patio or from inside the home from the open living, dining or kitchen area. Downstairs features 4 bedrooms (or 3 + study), 3 full baths, kitchen-dining-living room, second dining area, plus a spacious owner's retreat featuring a jetted tub. The upstairs suite affords privacy for family or guests to enjoy the large bedroom, full bath, walk-in closet and large living area. Great location-Nearby are the community pool, playground, schools, shopping, restaurants and more. Very tastefully updated Highland home near the new PGA facility and Tollway. Awesome outdoor living area w large cedar arbor, pool and spa w waterfall, grotto and sound system on 0.33 acres. Handscraped hardwds in the downstairs living areas, Plantation shutters on all windows, solid core doors main level, extensive crown molding on the first level w remodeled guest bathroom. Lge kitchen with granite cntrtops, ss apls, bfst bar, island. New roof, exterior paint and stain, custom lighting w extensive landscaping, 8 foot stained fence in 2017. Pool heater, pump, filter replaced in 2018 w 2 20-SEER AC units w humidifiers, five zones and two new hot water heaters. Oversized 3 car tandem garage w epoxy floors. Incredible Sotherby built home in much desired Shaddock Creek Estates. Community pool, park, walking trails and close proximity to all schools. Extensive hardwood flooring. Open family room to kitchen. Island kitchen has granite, Stainless Steel appliances, bar seating and walk-in pantry. Large Master Suite with sitting area. Master and guest bedrooms down. Study. Upstairs offers 3 spacious bedrooms and game room. Pergola. Large yard. 3 car garage. Picturesque 2 story home situated in beautiful Grayhawk! Open entry way with exceptional layout! Beautiful granite countertops and ceramic tile in kitchen and baths. Tons of updates including newer interior paint and carpet in bedrooms. Gourmet kitchen offers plenty of cabinet and counter space for the chef in the house! All bedrooms are larger than typical size. Split bedrooms with Master retreat down for plenty of privacy. 3 large living rooms plus a media room. Huge fenced backyard with patio, Frisco ISD and tons more! A must see!! Stunning Mediterranean Custom home has many upgrades; rare Alder Wood entry door; Travertine Tile & Wood fl throughout 1st floor. Gourmet Kitchen has Granite countertop, build-in SS, 5-burner Gas Stove, Walk-in Pantry & Gorgeous Alder Wood Cabinets. 4 bedroom 2 down and 2 up with Semi-customized Walk-in Closet; 3 baths with build -in linen cabinets and granite countertop. Designer lights both interior and exterior; Garage opener is WiFi ready; desirable community with top rated school, play ground, community pool & miles of jogging trails. Minutes to Toll & Shopping, this must see home is South facing with year round comfortable indoor temperature and energy. Gorgeous West Frisco home is nestled near a double cul-de-sac in the highly coveted Heather Ridge Estates, and award winning Frisco ISD schools. This is the perfect home for entertaining with the open concept floor plan, gourmet kitchen, and game room with wet bar + media room. This home features 5 bedrooms + study, 4 full baths, and spacious living room with gas fireplace, highlighting hand-scraped hardwood floors. Curl up with a good book in the bay window sitting area or wind down and relax in the master suite. Retreat to your own private spa in the master bath boasting an oversized jetted tub, double vanity sinks, and huge walk-in closet. This home has plenty of storage and a rear 3 car garage. What's my Kingswood Trails Home Worth?